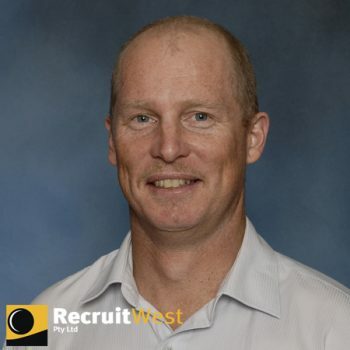 Brad joined RecruitWest in 2005 with over 15 years’ experience as a Surveyor and Engineer, working in the Mining, Civil Construction, and Government sectors. 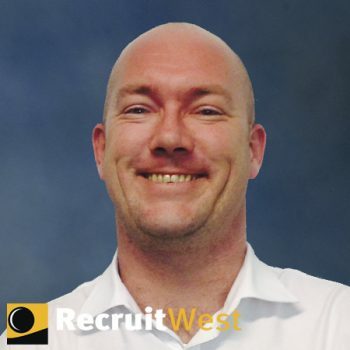 Brad has the vision of creating an internal work environment that is the preferred choice of Recruitment Consultants and their Staff. 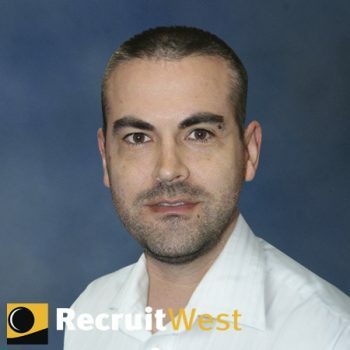 Since becoming Managing Director in 2008, Brad has taken RecruitWest on a sustained path of growth and development, embracing Management development and Employee training as the centrepieces of team building. 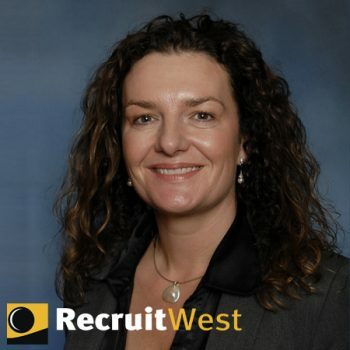 The results are reflected in the long-term business relationships nurtured, Staff loyalty, and continued improvement of the RecruitWest service. 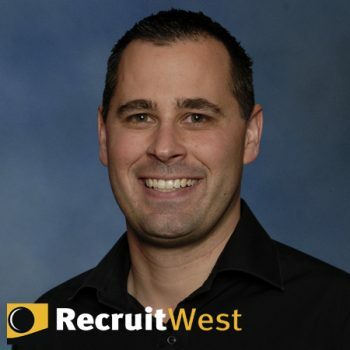 Brad stresses that "it is vitally important to understand exactly what the Client and Employee needs are, to understand what role RecruitWest plays in meeting those needs." Brad enjoys getting away from Perth for the weekend and going for camping trips with friends and family, and also enjoys sailing. 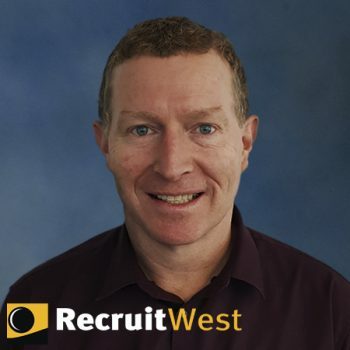 Jonno's work history includes time spent in Perth, Derby (in the UK), and Tasmania, and he is experienced in Travel, Payroll, Salary Packaging, Client Services, and Recruitment. As the Operations Manager, Jonno's main responsibilities are the day-to-day management of the Recruitment and Administration teams, liaising with Clients, payroll and invoicing, and database management. Jonno likes to play cricket and basketball, and he enjoys a good cider (Stowford Press is his favourite at the moment) while socialising with friends. Ben has a background in Recruitment, Tourism, and in the Construction Industry as a Carpenter. Ben is responsible for the day-to-day operations of our Bunbury office, and focuses on developing long-standing working relationships with businesses throughout the South West. Ben works closely with his Clients providing HR, IR, and WHS, solutions. Ben's passions involve the ocean and his family, and on weekends, you will always find him in, on, or around, the water, with his kids, surfing, sailing, or just having fun. 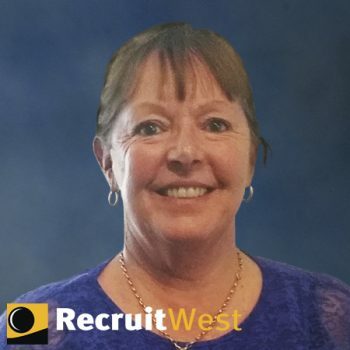 Rachel immigrated to Australia in 1988 and at the age of 18 headed up North looking for adventure, this lead to an 8 year career as a fixed and mobile plant operator in the North West and Northern Territory. 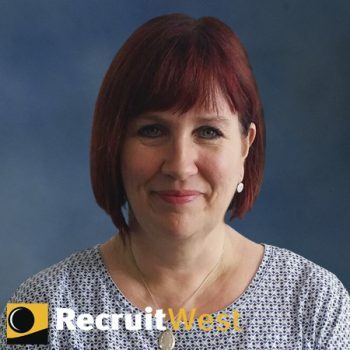 Rachel joined the RecruitWest team in 2005 and her diverse background and experience has seen Rachel move from a Recruitment Consultant into the position of HR and WHS Manager. Her grass roots knowledge of the company and involvement in the continuous improvement of our processes and procedures have underpinned the service we provide today. Rachel enjoys spending time with her children, family, and friends. She also enjoys reading and participating in book club. 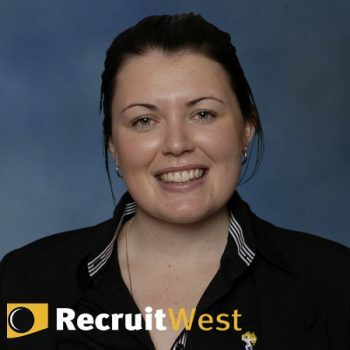 Jacinta is a CPA-qualified Accountant with a background in accounting for: iron ore mining, food service, airlines, travel, gas pipeline construction, public transport management, and now recruitment. Jacinta's responsibilities include: all facets of financial accounting; management reporting; statutory compliance (eg. ATO, BAS, PAYGW, Office of State Revenue, Superannuation, and CILSL); and, Payroll. Jacinta spends time with her three children, playing the piano, social tennis, and running for fitness. She is the Treasurer of her daughter's calisthenics club (5th year in the executive committee) and enjoys supporting and watching the WA Ballet performances throughout each year. Richard's versatility is clearly evident when scrolling through the varied and challenging roles in his work history, such as: Account Management; Quality Assurance; Training; and, Travel Consulting, but no matter what position he starts as, Richard's technical knowledge, computer skills, attention to detail, and interest in all things 'technology', always leads him to working within the IT Department. As the IT Systems Manager, Richard is responsible for doing the analysis, consulting, implementation, and engineering, for every aspect of RecruitWest's IT infrastructure (which includes desktop support, network management, software development, coding and programming, graphic design, and the Intranet and Internet websites), as well as, having responsibilities in Quality Assurance, Administration, Payroll, and Marketing. Richard is a member of MENSA, an avid gamer, a movie enthusiast, a quiz night ring-in, a bit of a musician, and a St Kilda supporter (but don't hold that against him). 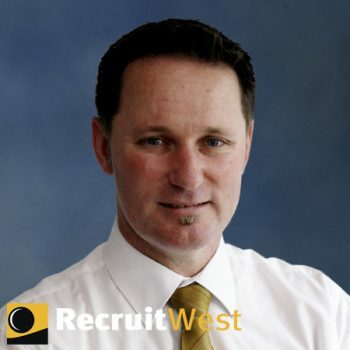 Karl has a background in Sales and Marketing Management across Australia and the UK. He has studied Engineering, as well as Commerce, at University, and is currently undertaking certification in Project Management. Karl specialises in Client-focused Staffing, WHS, and Human Resource Management, solutions, for businesses of all types. His positive, and consultative, approach better enables new and long-standing Clients to achieve their objectives. As a member of the Marketing and the Strategy Committees, Karl is passionate about the brand, and outcomes. In his personal time, Karl can be found gardening, playing basketball, or pretending to be a DJ. Duncan has spent over 30 years in the recruitment industry, having previously held operational, sales and leadership roles. He has an extensive knowledge of the WA market and the Modern Awards. He has had considerable experience and success in developing sizeable temporary and contingent workforce teams across a variety of industries including Mining, Manufacturing, FMCG, Engineering & Trades, Warehousing and Logistics. 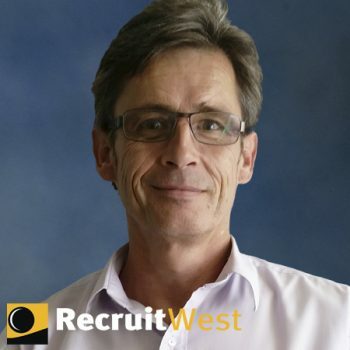 Duncan manages relationships with RecruitWest's clients and seeks to deliver value based solutions through successful and sustainable employment solutions. Duncan has a passion for the Anglo Zulu War and South Africa, bikes and cars, sailing and his dog Lexie. 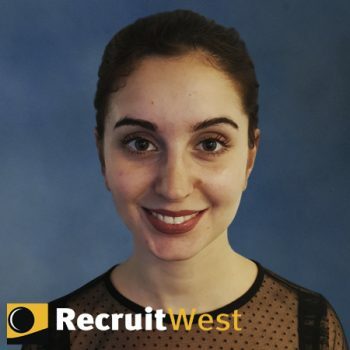 Veronica has extensive experience in Human Resource management, and Recruitment has always been a major component of her HR roles. Her experience in the Mining industry extends over 26 years, including 7 years doing a FIFO role to Mt Keith Nickel Mine. Currently doing HR Consulting work for Clients, and he most recent Recruitment project was managing the end-to-end Recruitment for all positions (from senior management level to Mechanical Fitter, Administration, and Operators) for a new Mineral Sands open-cut mining operation in Keysbrook, WA. Away from work, and when time permits, Veronica's passion is restoring old furniture and gardening. Sarah has nearly 20 years of experience working within agencies across both the blue and white collar sectors. 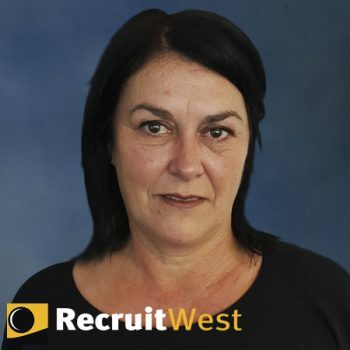 Sarah looks after clients in a range of industries and recruits for, but is not limited to Plant Operators, Mechanical Trades, Trades, Trades Assistants, Accountants, Accounts and Payroll staff, Site Administrators and Purchasing staff. Sarah enjoys relaxing with her family, eating out and of course shopping. Rispa has experience in HR, Administration, and Mining Recruitment. Rispa looks after the office management and administration for the Bunbury office. 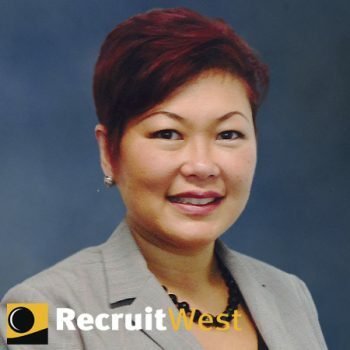 Her main responsibilities include Recruitment for Plant Operators, Trades and Labourers, and Account Management. Rispa adores her labrador, Sophie, as well as the latest addition to her family, a puppy labrador named Cooper. She also enjoys traveling and spending time at local wineries or breweries with family and friends. Robert has worked for a range of companies in operational and leadership capacities and encompasses over 12 years within the Blue & White-collar recruitment arenas. He is a seasoned professional with expertise gained through recruiting and account management activities, specialises in building upon key relationships. He has a proven ability to service varied disciplines, tailoring each solution to suit his client’s individual requirements. Robert is in a Senior Recruitment Consultant role which enables him to apply his solution focused approach to his client’s end to end recruitment requirements. This covers everything from Trades, FMCG, Logistics, Engineering and Manufacturing and everything in between. Robert is full-on into the sport of Fencing, though it’s his son that’s the Epee fencer...he’s just the athlete’s dad. He’s the State’s Member Protection Coordinator, an importer of fencing products and, also is an Armourer, which is a cool name for someone who repairs/maintains the fencing equipment. He gets a lot of pride and enjoyment from watching his son’s development and prowess in the sport. He’s an avid MOTOGP fan and motorcycle rider and enjoys relaxing with family and friends. Briana has over 7 year’s experience in Customer Service and 3-4 years experience with Reception, Administration and Marketing. She has owned her own Beauty business inside a Cryotherapy Clinic which expanded her skills immensely but also key elements with building relationships with clients, candidates and her fellow co-workers. This friendly face will greet you on arrival for all meetings and interviews, Briana looks after our front desk. Her duties include Administration, Recruitment Admin, Marketing and Advertising through our website, Facebook, Twitter and LinkedIn. Briana loves to swim, be with friends and of course re-watch all the Harry Potter movies that Netflix just uploaded.